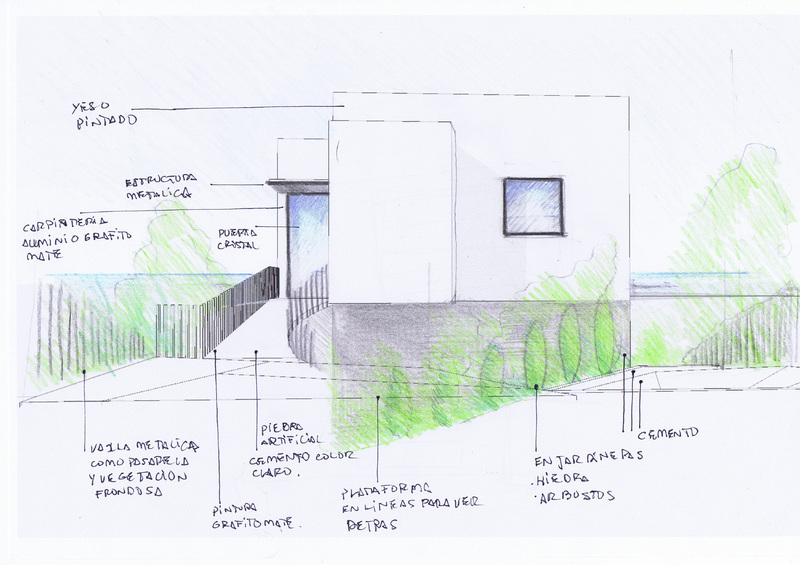 On the residential area of sitges, in the hills of the neighborhood of Vallpineda, a proposal is elaborated by our team to come up with a solution for a mayor challenge: the plot had a slope of 30° which forced the house to be on several terraces. 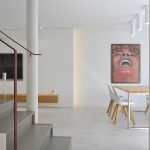 the aim was to create a sense of space making the most of the sea views by placing the car underground and not on the street level as it is traditionally done on the neighboring properties. 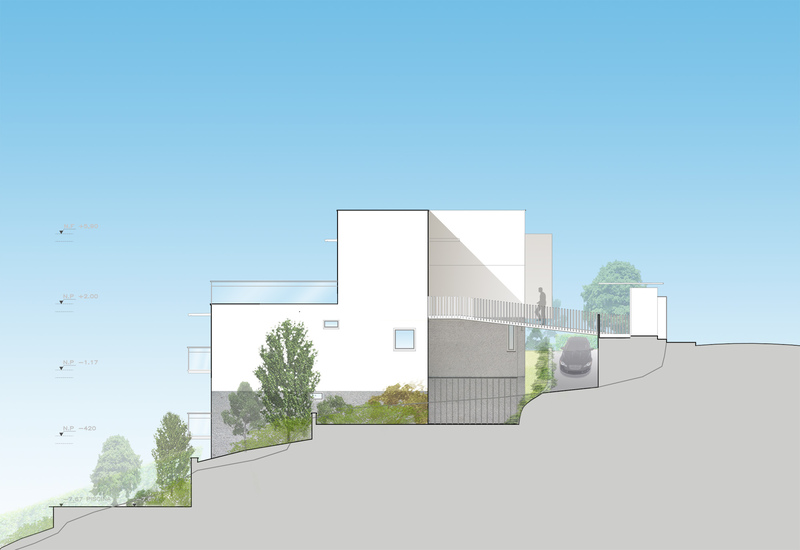 This proposal aimed to place the rooms for daytime and common use towards the most privileged views and the south-west sunlight and all secondary bedrooms towards the quietest gardens. 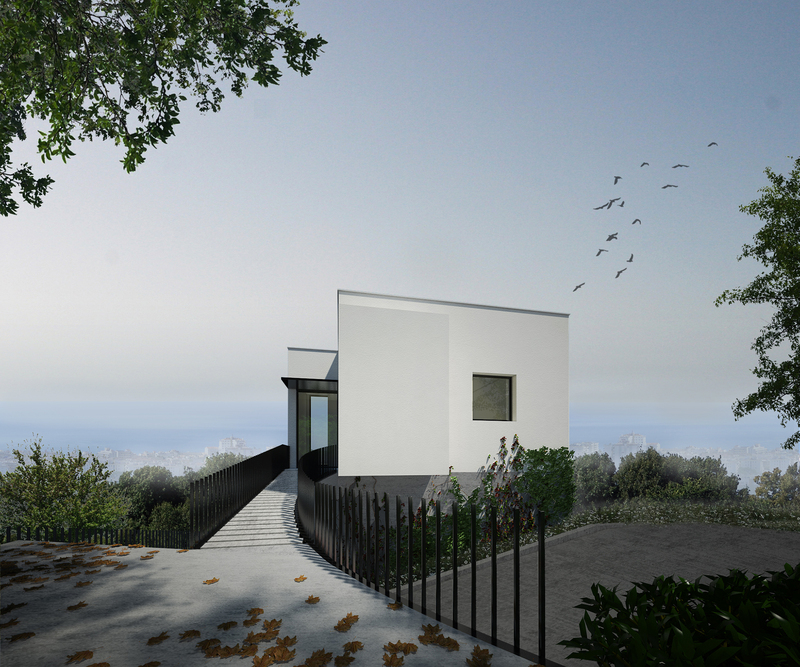 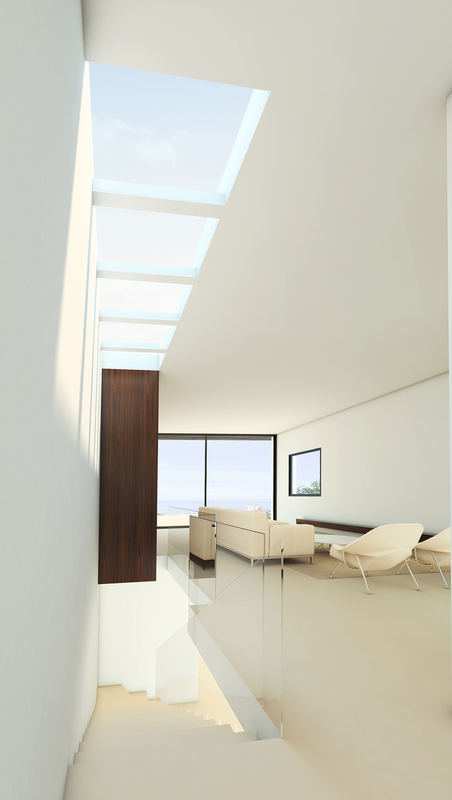 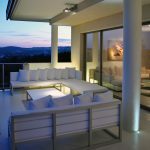 The master suite will be placed on the middle floor at the same level of the kitchen and dining areas, also with sea views and Sitges old town. 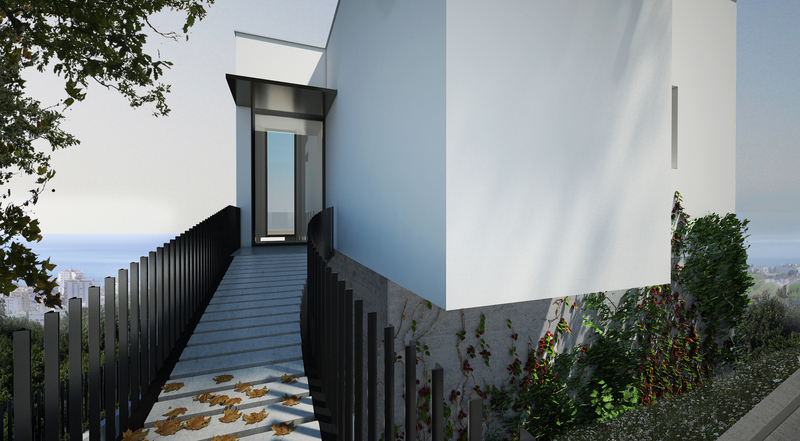 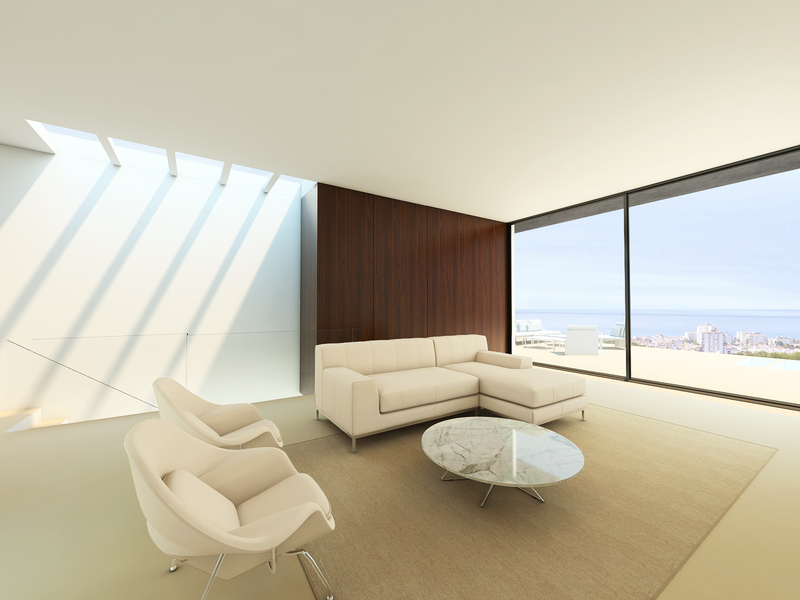 It will have its private terrace together with two walking closets and two full bathrooms. 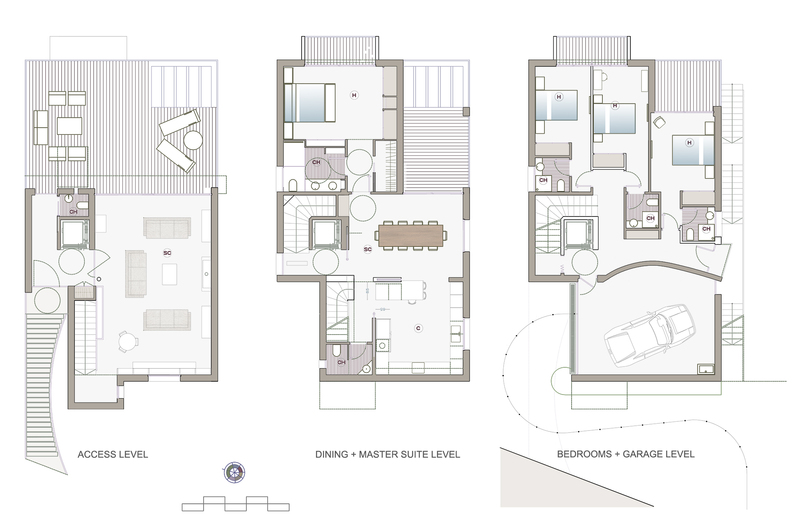 At the lower levels there are four more suites with ample wardrobes and private bathrooms.